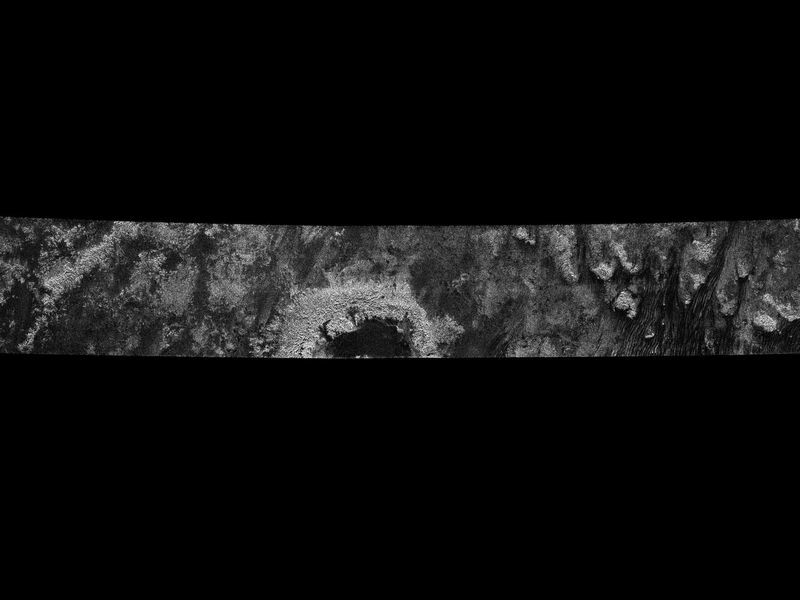 This image was obtained by NASA's Cassini radar instrument during a flyby on Jan. 13, 2007. 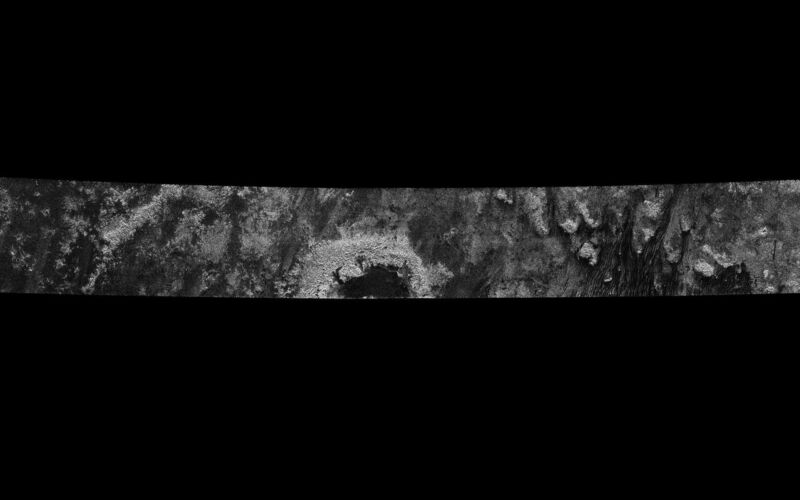 Northern mid-latitudes to equator (Ganesa Macula, Aaru, western Senkyo, Tsegihi). 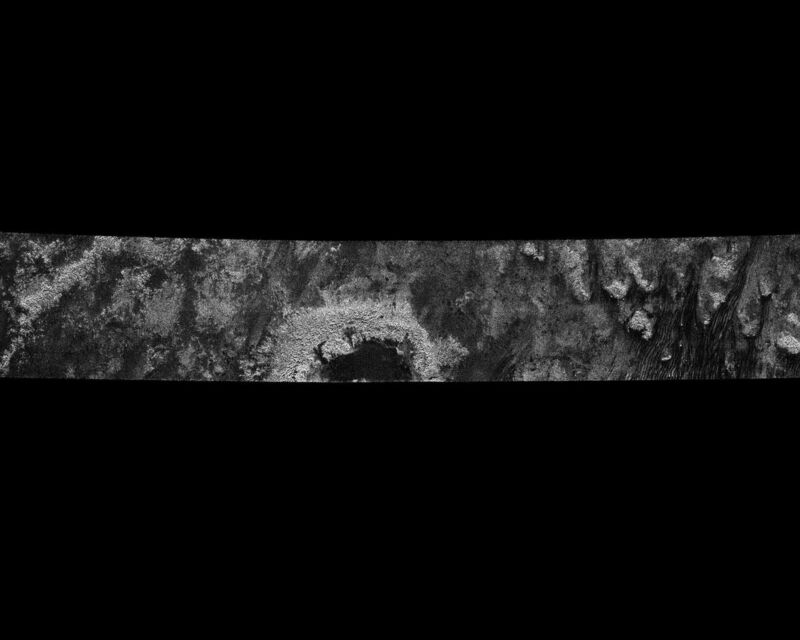 The radar antenna was pointing toward Titan at an altitude of 1,000 kilometers (621 miles) during the closest approach.